The fast and secure method to streamline checkout. Give customers the convenience of single touch purchasing on Mac computers and iPhone and iPad devices, with Apple Pay for the web. 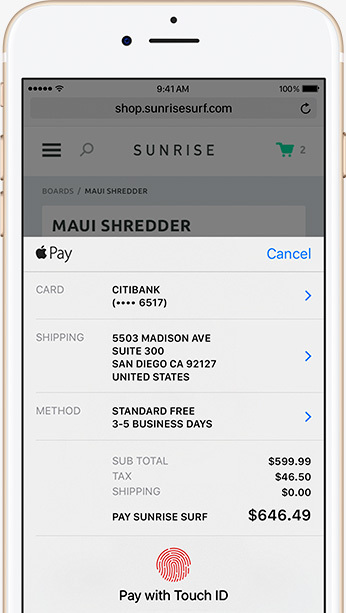 With Apple Pay, your customers aren't required to log in, and check out 60% faster than other payment methods. Your customers' actual card numbers are never stored on devices or servers and never shared by Apple with merchants, allowing for secure and private transactions. 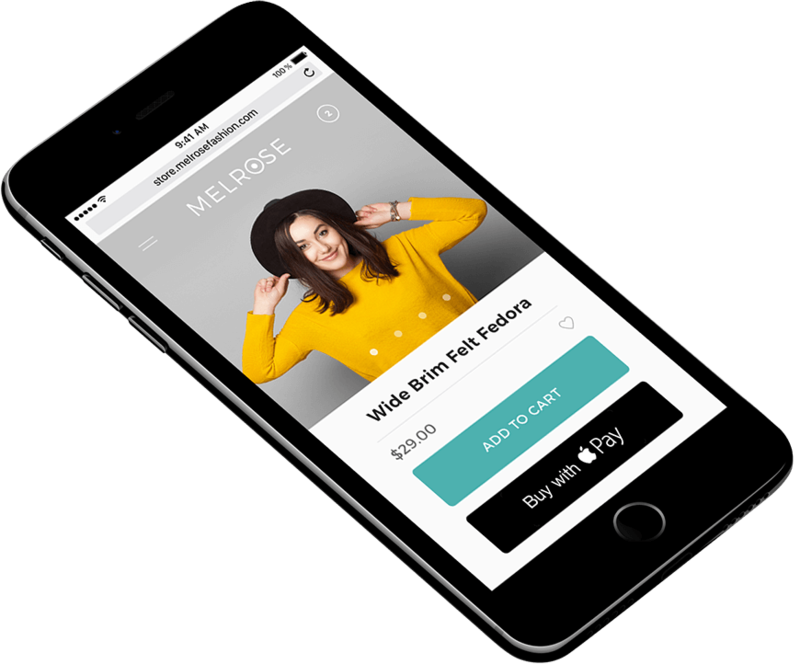 Websites supporting Apple Pay have seen more than 200% increases in checkout conversion rates. Setting up Apple Pay is easy, and you aren't charged any additional fees to add it to your store. Our how-to guide demonstrates how you can easily enable Apple Pay on your store. Already have Apple Pay set up?